Chief Executive Organizer, Clutter Diet, Inc. Since 2000, Lorie Marrero has organized everything from normal households to chemistry labs to backstage tour cases. Lorie created the Clutter Diet® online program and is the author of the Wall Street Journal bestseller, The Clutter Diet: The Skinny on Organizing Your Home and Taking Control of Your Life, and The Home Office Handbook. 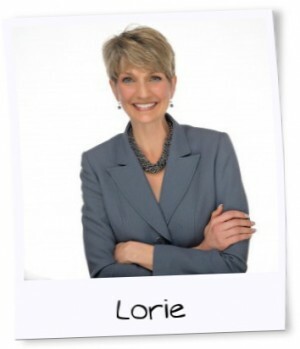 Lorie serves as national spokesperson for Goodwill Industries International since 2010 and is the ambassador of Goodwill’s Donate Movement. (See our Goodwill page here.) She’s also done spokesperson work and partnerships with several companies including Staples, Rubbermaid, ClosetMaid, Swingline, Brother, and Microsoft. The Container Store® carries Lorie’s Simple Division® Garment Organizers, which are assembled by people with disabilities at Goodwill Houston. She also invented the SpaceScaping® Kitchen Organizing System for placing items when moving into new kitchens. It’s a true story that Lorie saved up her allowance to buy a label maker in fourth grade, when other students started asking her to help organize their desks. Several years after graduating from Southwestern University in Georgetown, Texas, she entered the organizing industry with both corporate and domestic life experience. As an active mother who has moved thirteen times and has overseen the building of five homes, Lorie brings tremendous insights into residential organizing, household management, and relocations. She is also a very tech-savvy “gadget guru” who appreciates technology and its applications to everyday life. Clients and audiences love her effective style that includes memorable analogies and real-life examples. She is ecstatically happy to live in Austin, Texas.